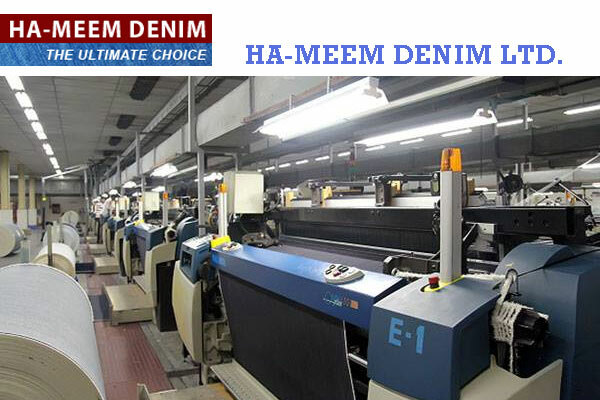 Ha-Meem Denim Mills Ltd - a reputed denim jeans company in Bangladesh. 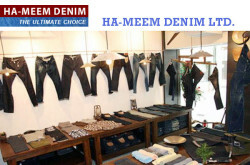 Home » Listing » Textile, Apparel & Fashion » Ha-Meem Denim Mills Ltd – a reputed denim jeans company in Bangladesh. 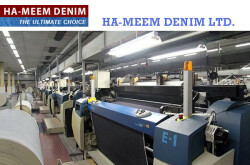 Ha-Meem Denim Mills Ltd – a reputed denim jeans company in Bangladesh. - a reputed denim jeans company in Bangladesh. 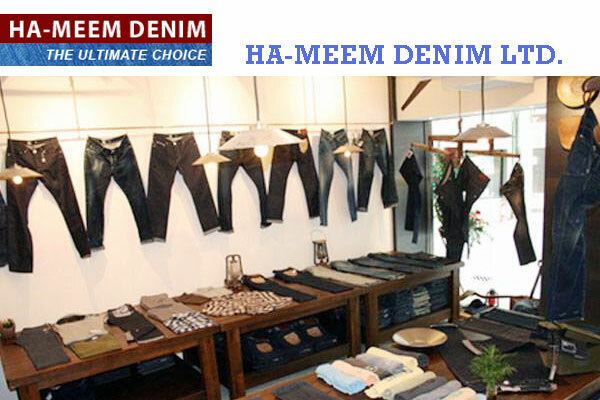 HA-MEEM DENIM is a project of Ha‐Meem group located in Sripur, Maona, Gazipur, Bangladesh. 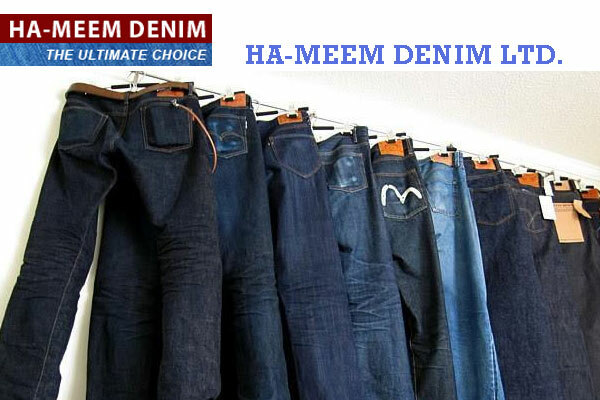 Equipped with all state of the art machinery like Sucker Muller slasher dye from Germany, Picanol Omni plus loom from Belgium and finishing line from Morison U.S.A.
4.5 oz to 14.5 oz with all varieties of denim. 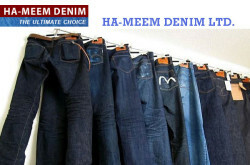 Regular Indigo, Black, Blue Black, Black Blue Denim. Poly Cotton Denim and Poly Cotton Stretch Denim. Ring, Slub, Ring Slub, Cross Hatch Denim. Coated and over dyed Denim. Flat finish and over Dyeing. Colored Denim: Reactive Dyeing. Sulpher (Yellow, Olive, etc). 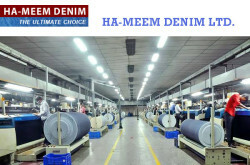 Inquiry for Ha-Meem Denim Mills Ltd - a reputed denim jeans company in Bangladesh.